A record number of Jews are participating in the 111th Congress. The three newcomers to the House of Representatives are John Adler (D NJ-3), Alan Grayson (D FL-8) and Jared Polis (D CO-2). 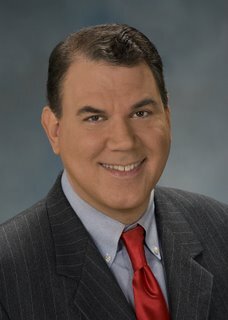 The Philadelphia Jewish Voice recently interviewed Adler and Polis, so we were delighted to have this occasion to speak with Alan Grayson. Grayson defeated four-term incumbent Ric Keller and now represents Florida's 8th Congressional District including over half of Orlando, Celebration, Walt Disney World and part of Occala and is a member of the Congressional Progressive Caucus. Grayson is known as a government whistle-blower exposing private contractor fraud in Iraq which he calls "the crime of the century". His campaign was largely self-financed using the funds from his qui tam lawsuits. Grayson focused on this issue with advertisements dramatizing the amounts of money involved and listing faulty products sold to the government. PJV: You have been a Congressman for almost two months now. I am curious if anything has surprised you or been different than what you expected. I never held public office before, so I had a conversation with a Congresswoman that I knew before I took the job, when I was running. I asked her what she thought the best part of the job was. I did not know what to expect because it was a private conversation, and she told me that, in all honesty, the best thing was - the best part of the job was all the good you can do. And I am starting to see that myself, particularly under the present political circumstances. There are basically two camps now in Washington: the camp of people who want to do something and the camp of people who want to do nothThere are basically two camps now in Washington: the camp of people who want to do something and the camp of people who want to do nothing. And some of the votes between these two camps are going to be quite close. I found myself quite comfortable in the "do something camp," that is my home. I think now, as far as I can see, the Congress is run by practical people who want to do something, who want to get something done to improve people’s lives. And that is their own view of how to keep their jobs and to make progress on their own. Everyone understands that if we do a bad job we will all be thrown out; everyone understands that if we do a good job, we will feel good about the job we’re doing and people will feel good about having us as their representative. So the part that, you know, the part that I have to say is a surprise, in a sense, is that I feel I have already been able to make a difference. I am just a freshman, as I said; I came to the job without any experience in being an elected official. I feel that the decisions we are making are decisions where there is a right and a wrong and, uh, just by voting and, in particular, by voting in a way different than the person whom I replaced, I feel that I am making a difference already. a where I can make a difference. I started a company called IDT, which is a New Jersey company that went public, so I went through the experience of seeing a company go public and operate in the financial markets, issuing large amounts of stock, issuing bonds, trading in large markets. I have done a lot of investing over the years at a very large scale, so I am pretty familiar with the capital markets in general. I studied economics at Harvard. I worked as an economist before I went to law school. So the markets in general are things that I think I have a better grasp of than most people just because of my experience in life. I think I am already making a difference. I think people in Orland sent me to D.C. in the hope that somebody would pay attention to how their money was being spent and try to make sure it was not being wasted. And even just in the few hearings we have had so far, I was able to hold people’s feet to the fire and make progress in that direction. PJV: That must be a rewarding feeling. Has the subject of [Bernard] Madoff come up much in your conversations so far? Well, sure. We had a hearing in which one of the Madoff whistle blowers was given hours to testify and the shocking thing is that the Bush Administration was given extraordinarily detailed information about Madoff’s Ponzi scheme and did nothing about it. I cannot say that surprises me because before I went to Congress, I prosecuted war profiteers in Iraq, and in those cases the Bush Administration also did nothing about it. In fact, in many cases they prevented the prosecution of war profiteers in Iraq, actually tried to get court orders to keep people from finding out about it – gag orders – because they did not want any bad news coming out of Iraq. And in the same way it seems they did not want any bad news coming out of Wall Street, so they did nothing about these cases. The big question now is, looking back, was this a product of incompetence or was it a product of malice? You know, I have to say that there is a consistent theme and a threat to all this which is that the people in charge for eight years only enforced the laws they liked and they only enforced them against the people they did not like. And now we are seeing the result of that. There was nothing remotely resembling equal justice for all. PJV: Do you think the Madoff scandal is affecting the Jewish community, aside from all of the people who trusted him? Do you think there are any negative repercussions for the Jewish community? Absolutely. I can tell you that in Florida, which is the state I represent, it has had a devastating effect in particular on Jewish charities. Some of the foremost Jewish charities had invested huge amounts of money with Madoff and now that money is almost entirely gone. It is a pity not only that he ripped off people, that he ripped off Jews, but that he ripped of the organizations in our community that are doing the most to help the most Absolutely. I can tell you that in Florida, which is the state I represent, it has had a devastating effect in particular on Jewish charities. Some of the foremost Jewish charities had invested huge amounts of money with Madoff and now that money is almost entirely gone. It is a pity not only that he ripped off people, that he ripped off Jews, but that he ripped of the organizations in our community that are doing the most to help the most vulnerable and needy among us. My sister in Baltimore works for Jewish Charities and, it is extraordinarily important work. It goes to the heart of what it means to be Jewish, Tikkun Olam. To see our ability to perform that work gutted by one lunatic is a terrible shame. But as I said before, the biggest part of that shame is that no one did anything to stop him while he was operating for years and years and people were giving detailed information to the Bush Administration about Madoff’s crimes. I met with Howard Kohr, the head of AIPAC [American Israel Public Affairs Committee], twice last week. PJV: And what was the gist of the conversation? The gist of the conversation was that Iran is a tremendous threat to Israel and needs to be stopped. And I agree with that. PJV: And what about what is going on in the Gaza Strip; was there any conversation about that? Yes, we talked about that. I think what AIPAC often tries to do is to educate Members of Congress who frankly follow this a lot less closely than I do. In my case, I read Haaretz and the Jerusalem Post online four or five times a week, so I am pretty familiar with the circumstances and why the war took place. As a famous Israeli once said, the Palestinians never miss an opportunity to miss an opportunity. PJV: Let’s talk about Iraq and Afghanistan and whether you support the Obama Administration’s proposals to reduce the number of troops in Iraq and increaYes, we talked about that. I think what AIPAC often tries to do is to educate Members of Congress who frankly follow this a lot less closely than I do. In my case, I read Haaretz and the Jerusalem Post online four or five times a week, so I am pretty familiar with the circumstances and why the war took place. As a famous Israeli once said, the Palestinians never miss an opportunity to miss an opportunity. PJV: Let’s talk about Iraq and Afghanistan and whether you support the Obama Administration’s proposals to reduce the number of troops in Iraq and increase the number of troops in Afghanistan. I support the decrease of troops in Iraq and I am against the increase of troops in Afghanistan. a place clearly we should never have occupied for any length of time much less five years now, nearly six years. The war has literally destroyed our economy. We have spent $3 trillion on the war. That’s $10,000 for every man, woman and child in this country. For my family of seven – myself, my wife and five children – that is $70,000. And the economic chaos that you see today is the result of the bad choices that were made over the past eight years, above all that one. There is no way for us to sustain the kind of expenses we have been incurring outside our borders when our own needs are so great. Our own needs have to take precedence. I think that President Bush tried very hard to rebuild – he did not do it – but he tried very hard to rebuild bridges, schools and hospitals in Baghdad in Iraq and Basrah in Iraq and Kabul in Afghanistan when our own bridges and hospitals and schools were falling to pieces. That was a terrible mistake that we will be paying for for many years to come. PJV: What other parts of the world do you think we should be paying more attention to than we are? Iran. I think that short of occupation, short of sending ground troops for an extended period of time, we need to do everything that we can do to prevent Iran from getting nuclear weapons – and that includes military action. In North Korea the cows have already left the barn, probably, but that is what we should have been doing in North Korea for the past let’s say eight years or so. We need to do whatever it takes – both we and Israel need to do whatever it takes -- to prevent the people in charge in Iran now from getting nuclear weapons. And, in fact, if we turn back the calendar, I would have been in favor of doing whatever it took to prevent Sadam Hussein from getting nuclear weapons. Of course, now we know that there were no nuclear weapons and there were no weapons of mass destruction at all. But I thought that the Osirak attack [by Israel on Iraq] in 1981 was justified and I think that a similar attack today against Iran would be justified. If such an attack took place and Israel were to do it, I would immediately issue a statement saying that I support Israel and its right to ensure its own existence. You know, the other possibility is that we let Iran get a nuclear weapon; Iran launches that weapon again Israel and Israel is destroyed. At that point, I don not think it’s going to be enough to hear from people who feel differently to say "I am sorry." At that point it will be too late. You know, I have two young children. My kids range from three to thirteen. I don’t let my three-year olds play with matches, and I am not going to let Ahmadinejad play with nuclear weapons. PJV: Let us return to domestic policy for a few mintues. You had your own personal experiences as a child with health care, I understand. I am assuming that that has shaped, to some degree, your feelings about health care reform and universal coverage. Would you tell me a little bit about that? Well sure. I was a very sick child. I went to the hospital four times a week for treatment and I have frankly been close to death on many occasions in my life. PJV: Was it a particular illness? Well, I have been close to death for a number of different reasons under a number of different circumstances over time. But if you are referring to my having to go to the hospital, the answer is, yes. I had a world class case of asthma and had enormous trouble breathing all the time. And that is why I had to go to the hospital. At various times when I was growing up I had to spend quite a lot of time in the hospital, but I went to the hospital for treatment four times a week. And I know that I wouldn’t be here today except for the fact that my parents were union members and had health coverage. And the health coverage was enough to keep me alive. We went through two strikes when I was going up, and I worried all the time about what that might mean for me because in the same way you do not get paid when you are on strike, you have to worry about your health coverage lapsing. So, you know, the need to see a doctor was something that was very real to me when I was growing up and it is very real to me now. My three-year olds were born prematurely. They spent weeks on respirators. They were under 24-hour monitoring for months. They were in the hospital for a very long time. Just having them born was an undertaking. It was a very difficult delivery; there were 23 medical professionals in the room on the day that they were born. The fact that they are alive today and normal – as normal as a Grayson can be, I guess – the fact that they are alive and normal means that they not only benefited from the fact that children can get health care in this country, but they are a living token of it. It is not something that people talk a bout a lot, but in this country 50,000 children die every year. That is almost 20 times the number of people who died on Sept. 11. The remainder of our conversation with Congressman Alan Greyson will appear on our website shortly. Please return to our website in a few days.